I have said it before and I’ll say it again, I have quite bad skin for a 23 year old. Firstly, HOW am I already 23?! And secondly, this is not a ‘fishing for compliments’ post, I really have not looked after my skin properly. Therefore, the last two years of my life have a been spent in a skincare limbo. A skincare balancing act, you could say. I am a whore for trying and testing different brands, and mixing and matching different routines. 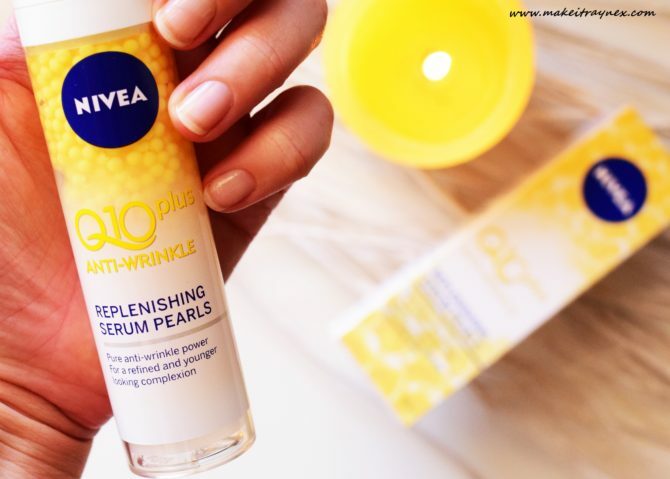 One product I have been liking a lot lately is the Q10 Plus Anti-Wrinkle Replenishing Serum Pearls from NIVEA. 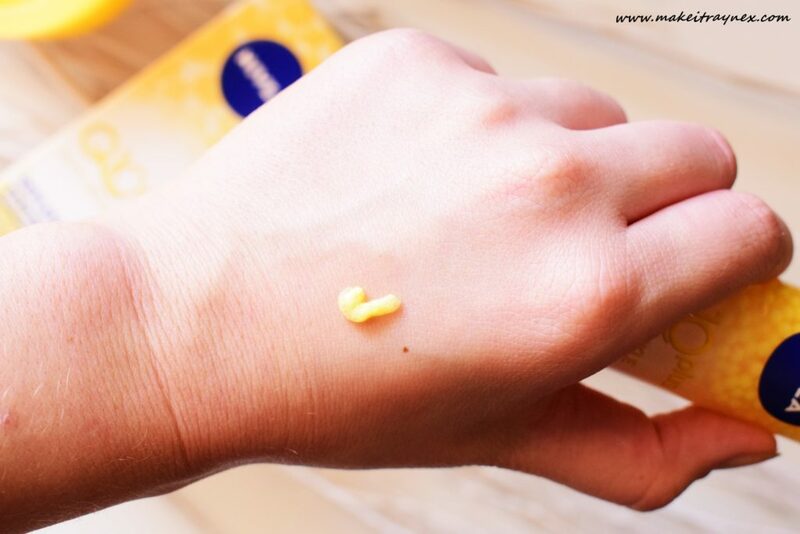 I have used one or two other products from the Q10 range before, the daytime moisturizer gets two thumbs up from me. The Replenishing Serum Pearls are enriched with Coenzyme Q10 (already within one’s skin) and Hyaluronic Acid (one ingredient I love to see on packaging). Of the entire Q10 range, the Replenishing Serum Pearls is the product which offers the highest dosage of Q10. Basically, Q10 is an ingredient already found in the skin, but we lose this as we get older. The product is packaged in a hygienically conscious pump bottle which contains the pearls as well a moisturizing gel which contains glycerine and the aforementioned hyaluronic acid. The two are then merged together into one formula when you dispense the product. The velvety finish of the serum has less chance of leaving you oily, which is great, even though we are headed into the colder months in South Africa. However, I have read some reviews from bloggers with more oily skin. The majority stated that they had no issues with this leaving their skin slick in the Summer heat. Therefore it seems like it will work for all kinds of skin types. For application, this is applied after cleansing but before your creams and moituriser. It also doubles up as a primer and no, it does not tinge your face yellow! And lastly, I just have to point out how cute the packaging is. 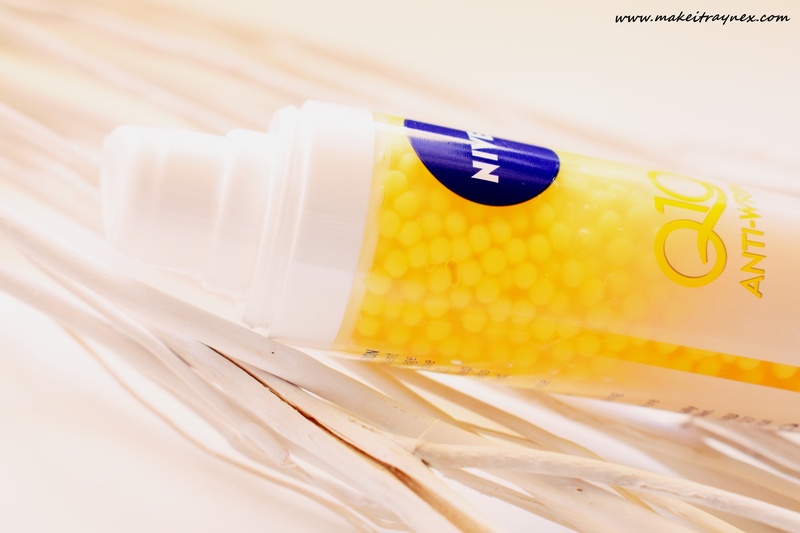 The pearls inside the tube look like a covering on top of the tube, but it is a see-through bottle. Those are the actual Replenishing Serum Pearls you are seeing! You can find this NIVEA Q10 product for R229 at Clicks, Dis-Chem and other large pharmacies. 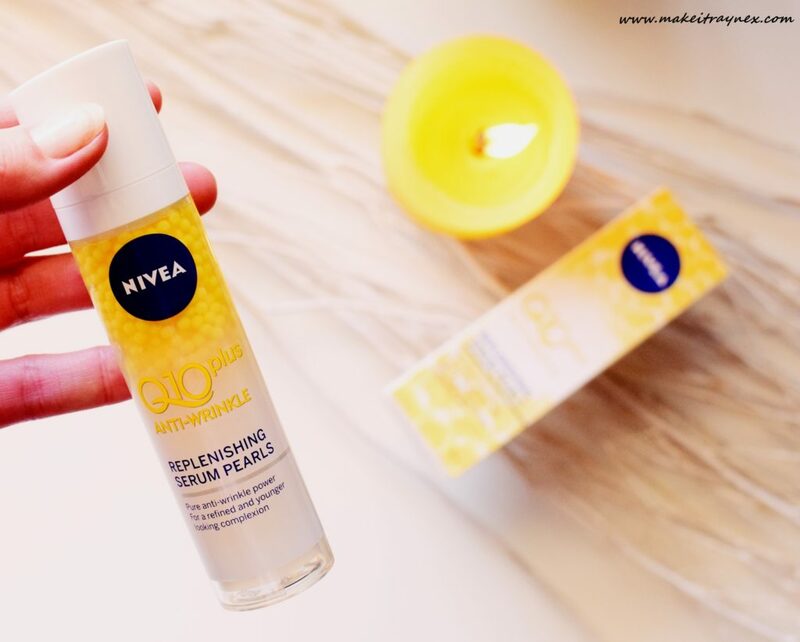 Don’t forget to let me know if you have any NIVEA products that you would like a review on! My skin is not the best at the moment and I’m not sure if it’s the products I am using. I have combination skin is there anything you would recommend?? I really enjoyed this product. I suspect I’ll be reaching for it often come winter. Thanks for sharing! I’m loving this stuff too! My fiance surprised me with a bottle when he made his last trip to Dischem, and I’ve been addicted ever since.